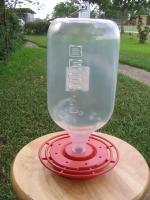 Get up close and personal with the Window Hummingbird Feeder from Droll Yankees. 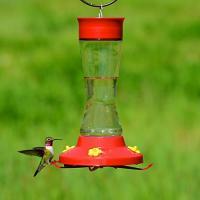 This feeder is a new look at an old favorite that brings hummingbirds right to your window. With this attractive feeder affixed to your window via two strong suction cups, you'll have hummers whizzing just inches from your face. The acrylic feeder can hold 6 oz. of nectar and features two ports with a place to rest along the rim. 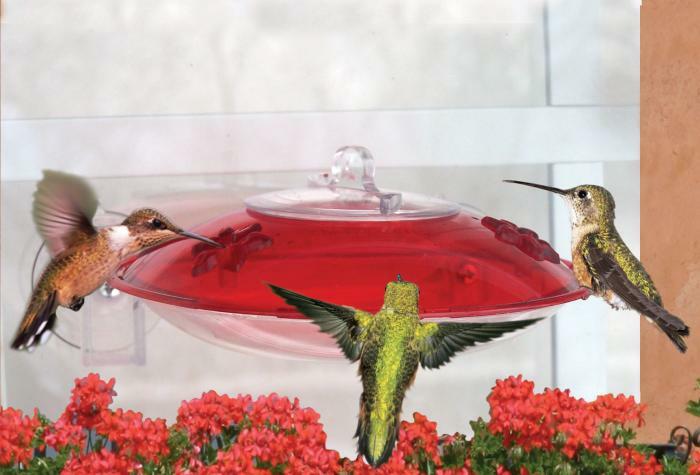 Not only does the feeder have a guaranteed leak-proof design but it also comes with two Nectar Guard Tips to prevent insects from contaminating the nectar and bullying the hummingbirds. 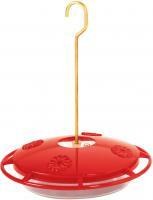 You can easily clean and refill the nectar by removing the clear cover on top. So enjoyable to see the hummingbirds so close to me. You get what you pay for. Wonderful feeder--birds at the window constantly. Droll Yankee replaced suction cups & screws free of charge. 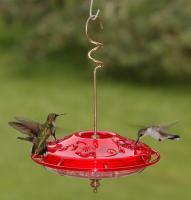 I have 2 feeders & will replace same feeders when needed. Love this. I have it placed on a window looking out into my back yard. The first time I attached it, I had a million ants coming down from the roof area into the container. I removed it, cleaned it and replaced the liquid. Using a q-tip with vaseline on it, I applied a thin coat around the two suction cups before attaching to the window.......works great now! The trick to using this without it leaking is that you have to only use 6 oz of nectar in it. (I think it said that somewhere in the instructions.) If you use more than that, it goes over the midline and leaks like a sieve. 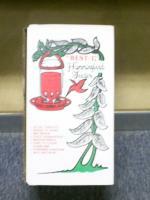 Of course, the hummingbirds have long tongues and can still reach the nectar so no worries. I haven't used it long enough to give other feedback but I did think that might help someone else. The hummingbirds did not take take to this feeder as well as the other one by perky pet. Too expensive for what you get.. Given as a birthday gift for granddaughter. We were at their home last weekend and were told it leaks.